'NATO fully supports #Ukraine's sovereignty & territorial integrity." We have to unite our efforts & coordinate effective measures to protect Ukraine. UK joins joins EU, NATO, Latvia, Lithuania, Estonia, Denmark, Romania, Poland & Canada in condemning Russia's aggression against Ukraine. 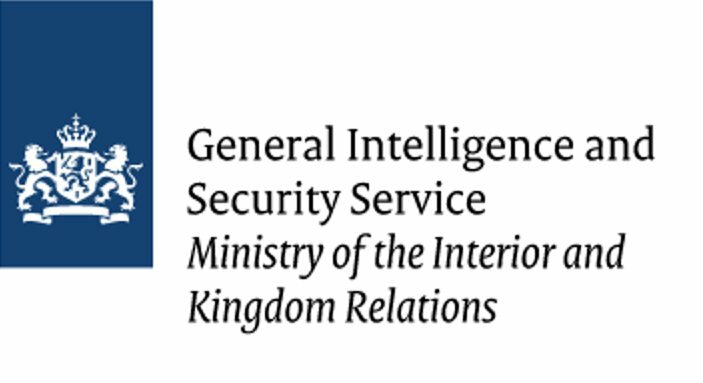 BREAKING: #Netherlands' General Intelligence & Security Service (#AIVD) played key role in PROVIDING EVIDENCE TO #FBI ON RUSSIAN INTERFERENCE IN US ELECTION. AIVD infiltrated Russian hackers group #CozyBear already in summer 2014 ! Dutch intelligence (AIVD) had acces to Russian Cozy Bear hackers group for years and obtained crucial evidence for Russian interference in the U.S. elections. 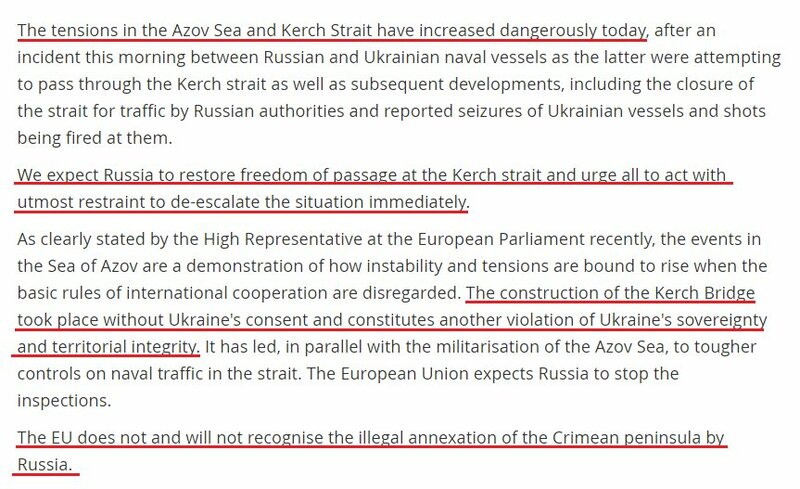 #Russia, amid dispute with #Ukraine, cuts off access to Sea of Azov from Black Sea. 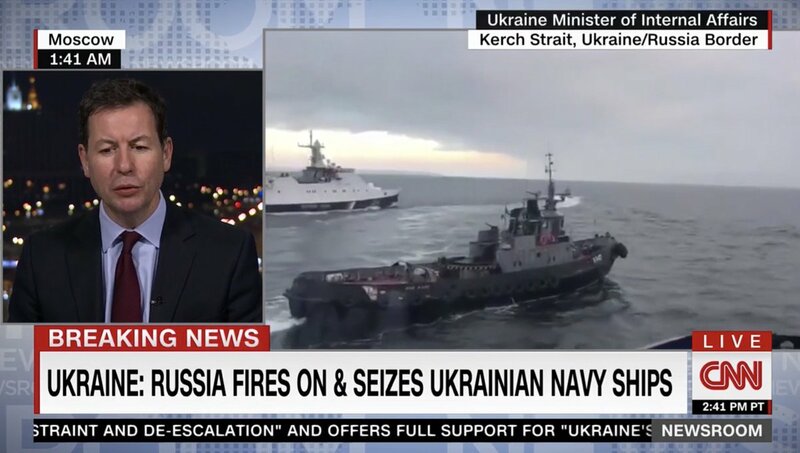 Update #Ukraine says it navy ships have been fired on by #Russia in the Kerch Strait; one of it vessels damaged. In all seriousness, just think about how profoundly twisted this is. #Ukraine has stated unambiguously that #Russia is waging an unlawful interstate war on Ukraine, and NOT ONE body of political note or power will even acknowledge this basic truth! 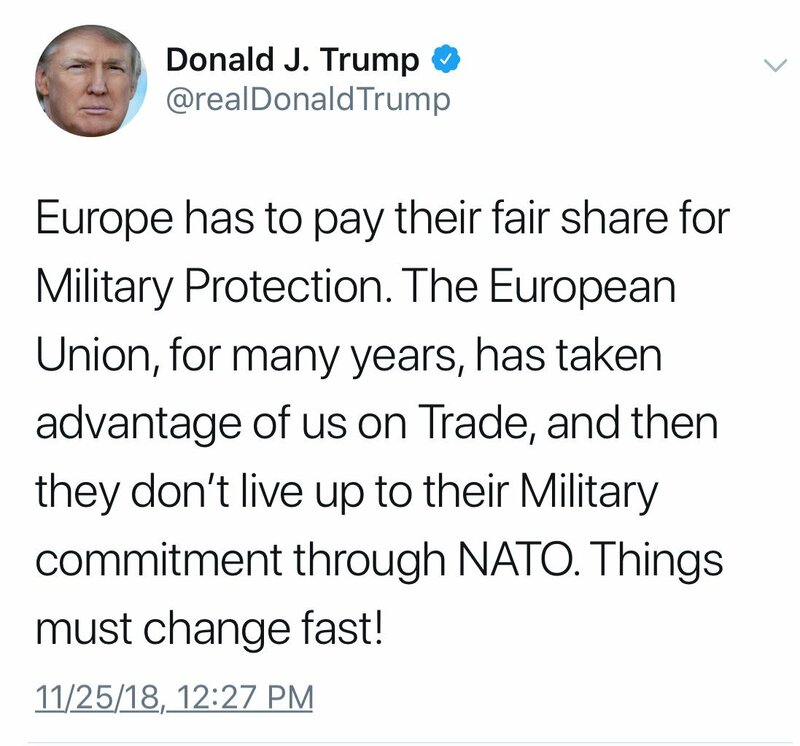 This is precisely why @RomanSohn and I demand that the EU & NATO *finally* lead & call things by their names, and clearly and unambiguously recognize the patently obvious truth, that #Russia is the aggressor in an unlawful, interstate war against #Ukraine.